Learning the ABC's was never like this. 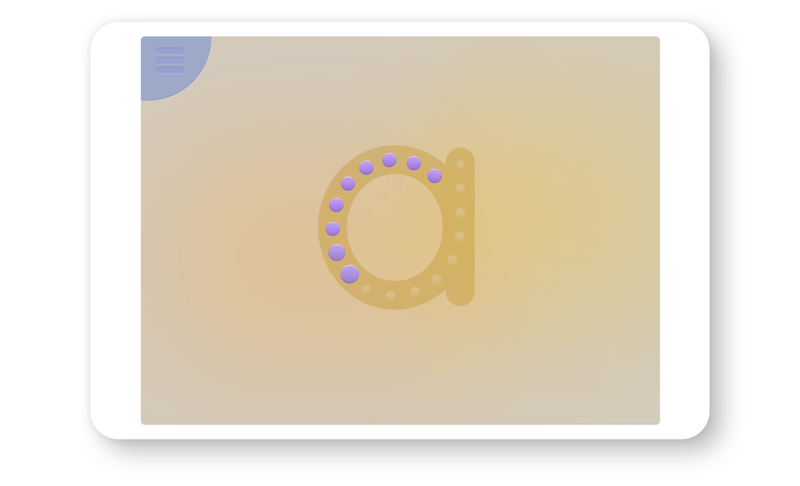 Meet Alphabet Fun - an interactive app for children to discover, learn and explore the alphabet. 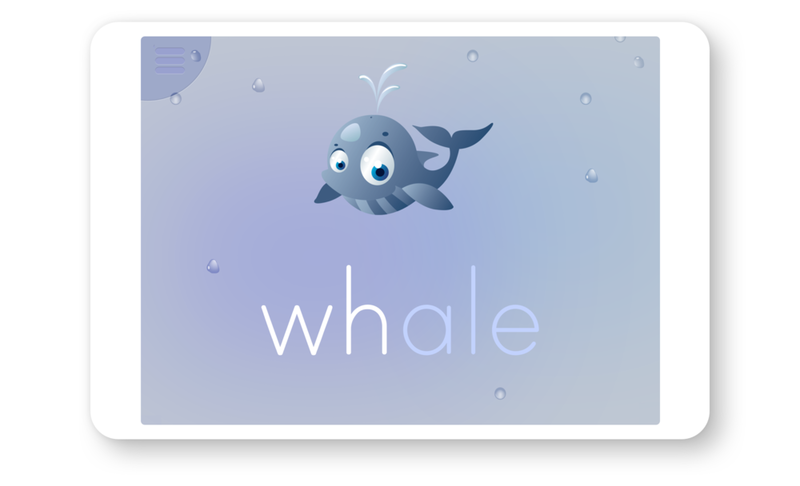 Designed & developed the award-winning iPad app that encourages children to discover, learn and explore the alphabet. • Soft pastel colors: bright, engaging, and child-friendly. • Round corners: the real world is filled with round corners. Toddler toys are no exception. It seemed fitting to incorporate this softness into the overall design. • Large, friendly typography: the text needed to play a starring role. • Simplicity: only necessary elements are displayed on the screen. This allows children to focus on learning without distractions. It encourages discovery and exploration. One of the substantial challenges I faced was providing simplicity to an otherwise complex and feature-rich interface. I tried many different menu models in my quest for child-friendly simplicity. The one that really stood out was a layered, hierarchal system. • It orients the user within digital space. Users understand their current location through the use of layers. • It keeps the UI clutter free. Interface elements and sub-menus are displayed only when needed. • Kids understand it. I tested this mechanical system on little ones to ensure that it wasn't confusing or disorienting. The typography needed to be inclusive. I spent days searching for the perfect font. I wanted something light, modern, and crisp. And of course, It needed to be grammatically correct. After a bit of searching, I settled on this child-friendly font. One of the big challenges was creating interactive elements that were tactile, responsive, and worthy of the users attention. I must have played with hundreds of user-interaction models. Everything from drag-and-drop to pinch elements. 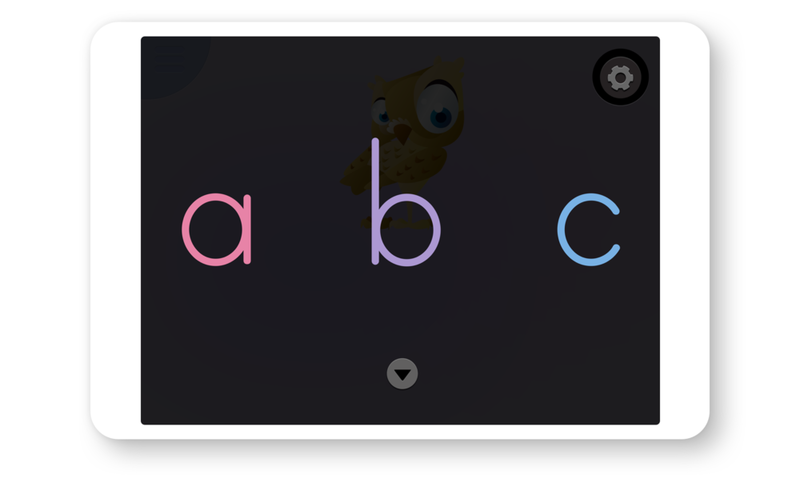 These three elements cover all levels of Alphabet exploration. And they do it in a way that's both engaging and Fun. I wanted the interface to be alive. Not necessarily through animations, but through engaging interactions. This was accomplished through the use of dynamic interface elements. These elements interact, not only with the user, but with the other elements on the screen. Alphabet Fun is about the thrill of discovery and the joys of learning. It’s feature rich and beautifully simple. It was built around the principle that learning should be engaging, exploratory, and of course, fun.